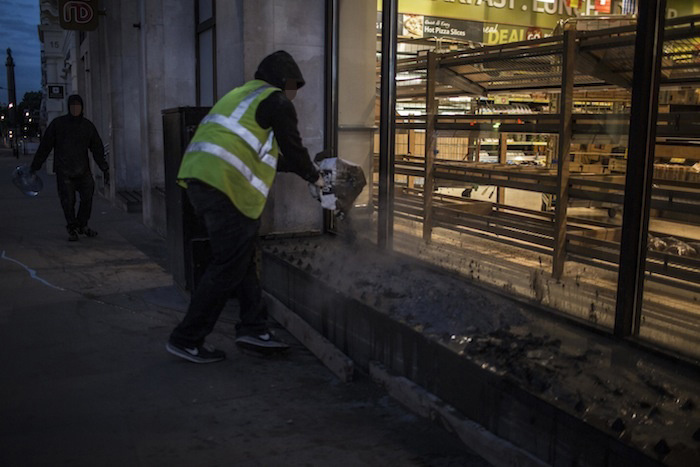 A group of young Black activists calling themselves “London Black Revolutionaries” or LBR have claimed a victory in their direct–action campaign to get rid of the anti-homeless spikes put up by the supermarket chain Tesco outside one of its central London stores. Members of LBR dressed as builders poured concrete over the inch-high steel studs at the shop in Regent Street before vowing to strike again. The spikes caused outrage earlier in the week as they were widely seen as a move by Tesco to deter rough sleeping. As protests against the spikes gathered pace, managers at Tesco had insisted that the spikes were designed to prevent anti-social behaviour rather than to prevent homeless people from sleeping outside the store. Homelessness charities described the studs as inhumane. 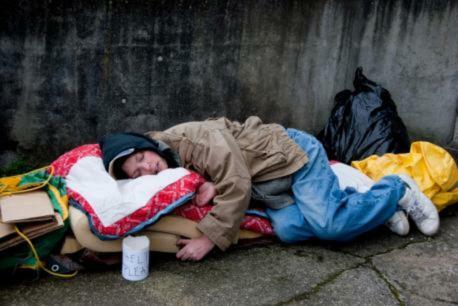 Jacqui McCluskey, Homeless Link's policy director, said: "It's shocking to see the use of metal spikes to discourage rough sleeping and hardly helps to deal with the rising number of people who are forced to sleep on our streets. 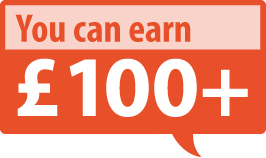 Many people who sleep rough just don't know where to turn and are among the most vulnerable in our society. Sleeping on the streets is dangerous and bad for your health. Individuals need support." LBR, who describe themselves as anti-racist, anti-fascist, anti-homophobic and anti-sexist, spoke to Simon Childs, about their new organisation. Childs: So you guys are claiming responsibility for concreting the spikes outside Tesco. We took direct action because we wanted to link the political objection to the anti-homeless spikes to an actual message of attempting to get them removed. 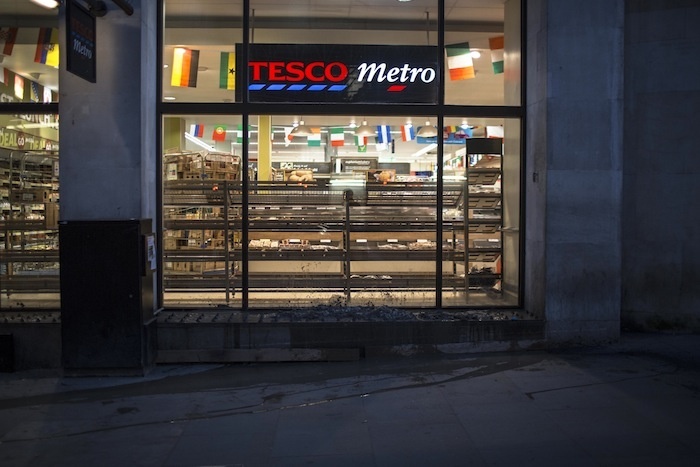 We don’t go for direct action all the time, but we thought that – given the outrage against the spikes – giving a clear message to Tesco that they're not going to be left alone could be supported by targeting the spikes themselves. Is it kind of like how LGBT rights groups are mostly run by LGBT people but that doesn’t mean they hate straight people? * Simon Childs reports for Vice.com.